One of the joys of science fiction is seeing fan favorite actors stick with the genre across different projects. Arnold Schwarzenegger cemented his sci-fi legacy with iconic roles in Predator, Total Recall, and of course the Terminator series. For Alan Taylor’s currently-in-production Terminator: Genesis, Schwarzenegger may share the screen with none other than Doctor Who. Or, at least the eleventh incarnation of him, as Paramount and Skydance Productions have added British actor Matt Smith to the quasi-sequel. They’ve got to let him wear a bowtie, right? It’s hard to think of someone better to bring into a time travelling adventure than someone who was once a proper Time Lord. Unfortunately, Paramount and Skydance are being cagey with Smith’s character specifics, describing him only as “a new character with a strong connection to John Connor.” Which, at this point in the redevelopment of this central storyline, could mean just about anything. Is he the friendly resistance mail carrier? Will the somewhat svelte actor play a badass soldier of some kind? Maybe a half-brother that John never knew about? I could keep this hypothetical train chugging all day long. I mean, it’s possible that Smith could also play a bad guy, as strong connections don’t always imply friendship. The studios have been equally coy about what character I Saw the Devil‘s Byung-hun Lee will play, only they make him sound like a terrifying villain. I like the idea of a South Korean and a Northamtoner wrecking shop across time. That’s a team up I want to see. To be fair, most of the details about this film are flimsy at best. A different iteration of the events that we saw in the first two Terminator films, this update sees Jason Clarke’s John Connor sending his own father, Kyle Reese (Jai Courtney), back in time to save Sarah Connor (Emilia Clarke) in order to stop the rise of Skynet before the machines take over the planet. Dayo Okeniyi plays Danny Dyson, son of the man thought responsible for Skynet’s origins. J.K. Simmons is also in there somewhere. Plus, apparently Schwarzenegger’s aging T-800 drops in on the opening scene from the first film, right after his other self leaves the bar. Madness! 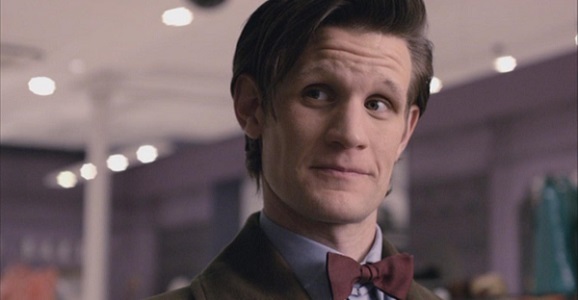 Smith made his exit from Doctor Who only four years into a successful post-David Tennant run, though still took part in all of the 50th anniversary specials and celebrations. His film career has not yet blossomed as much as that of his companion Amy Pond, er, Karen Gillan, who is hitting double genre bonus with the horror Oculus and James Gunn’s Guardians of the Galaxy. Smith makes his big Hollywood debut in the dark fantasy Lost River, the directorial debut from Ryan Gosling, alongside Christina Hendricks and Saoirse Ronan. 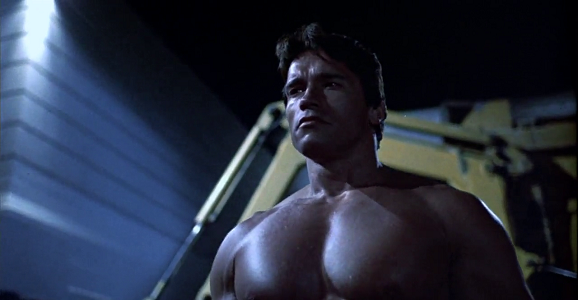 Though that film doesn’t yet have a release date, we know we’ll be watching Smith in the vicinity of muscular Terminators on July 1, 2015. Unless of course Future James Cameron comes back in time and squashes it all.